Solutions for Businesses of all sizes. Need better leads? We've got you covered. With our web design, SEO and digital marketing services you will get sustained growth for your business. Getting websites in top positions is our bread and butter. Work with an SEO company that can provide all you need to generate awareness, drive traffic, connect with customers and increase sales. Web design and development that works and looks great in every device. 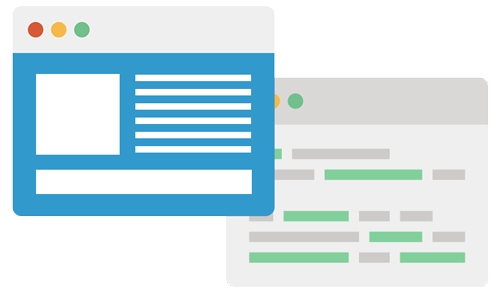 We build beautiful websites supported by high quality code. Have a complex requirement? Need a custom ebusiness solution? We can help. Get on top of search results immediately. With over 9 years of AdWords and Facebook ads experience under our belts, we’ve learned a few things of what it takes for you to become an industry leader. Building and designing websites requires skill, building and designing ecommerce websites is a step above that. 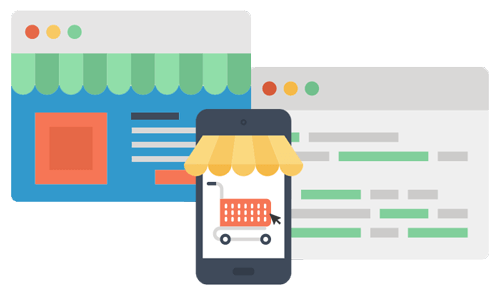 We've built many custom ecommerce solutions that are attractive and optimized for conversion. A translation company gains clients' trust and takes the lead. Credibility improvement leads to 83.7% increase in conversion. I. Brown, Marketing Manager at CA Translation Services. Modern design and screen responsiveness turns into growth for counselling practice. Increase in traffic and conversions help practice thrive. They are fantastic. My website now captures who I am and what my business is. They have been so flexible with design and content, and are straight forward with what they have seen work and not work. We are a solid team, that is why we care more and work harder than anyone else. At SearchEngineOp each web design and SEO project you will feel like your business is the only job we have, even though we are constantly managing several projects at once. Our work ethics and passion for what we do is easy to see from the very first meeting to the final results. This is how we build long term relationships with our clients and why they stay with us for many years. We've helped many businesses with their web design and SEO needs in Guelph, Kitchener, Waterloo, Cambridge, across South Western Ontario and in other countries.